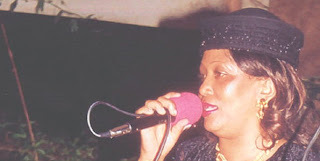 Popular musician Queen Jane has died while undergoing treatment at a Nairobi hospital. She passed on Tuesday evening at the St Mary's Hospital, Nairobi. Queen Jane hit stardom following the release of the hit song Mwendwa KK in the 1990s. She was born Jane Nyambura 45 years ago in Gatanga, Central Kenya. Her two siblings Ejidiah Wanja, who also goes by the stage name Lady Wanja, and Agnes Wangui aka Princess Aggie are also involved in the music industry. Reacting to Queen Jane’s demise, Central Province music icon, Simon Kihara alias Musaimo, said that death has robbed Kenya a super star. “I’m like a three-legged stool whose one leg has been broken. The feeling is worse than what I felt when she left my band, Mbiri Stars, to form Queenja Les Les in 1991,” he said. One-man-guitar musician, John Gathogo Kariuki (Karia-Mburi), an up-coming entertainer who belts out tunes at entertainment spots in Nairobi’s central business district, owes his success to Queen Jane. “She hired me as a salesman in her music shop from where I learnt how to play the guitar and began to accompany her to music extravaganzas. I’m now earning a living thanks to her kindness,” he said, amid sobs. Some of the songs that saw her carve a niche in the then male-dominated field are: Mwendwa KK, Ndutige Kwiyamba, Guka Nindarega, Maheni ti Thiiri, Mwana wa Ndigwa Muici wa Itura, Muthuri Teenager, Arume Ni Nyamu, Arume ni Njegeni and Nduraga Ngwetereire.